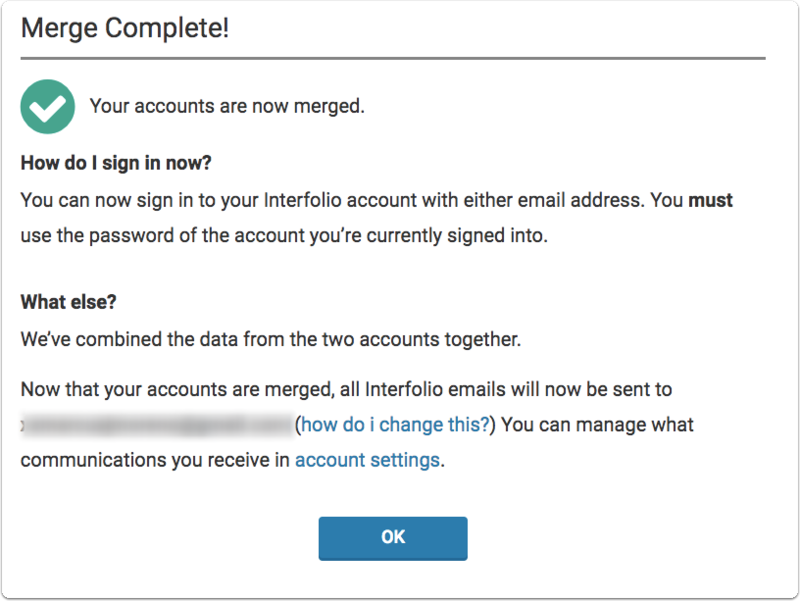 Click here for a complete set of information about this feature, process, and about what information is kept from your accounts during the merge process. 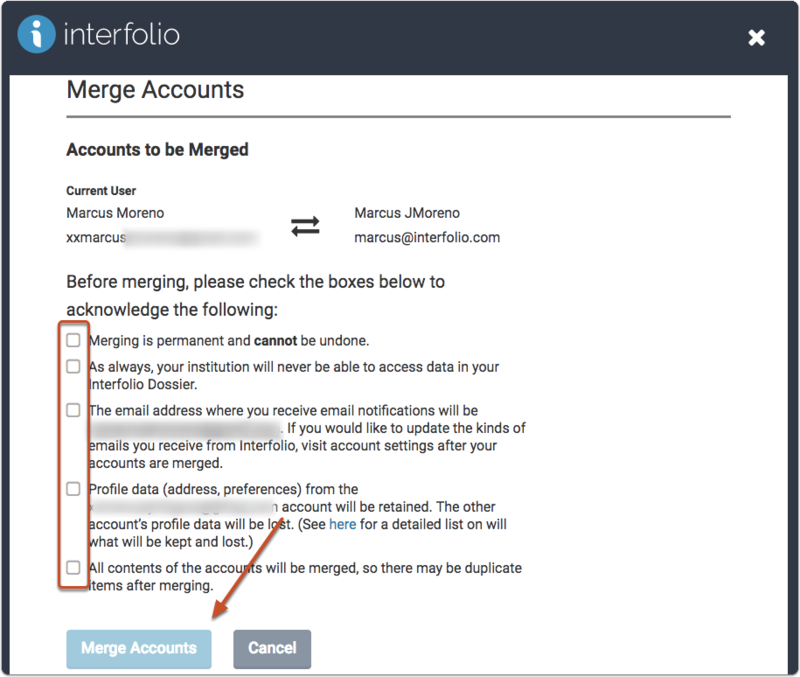 It is possible to obtain more than one Interfolio account through a variety of ways. 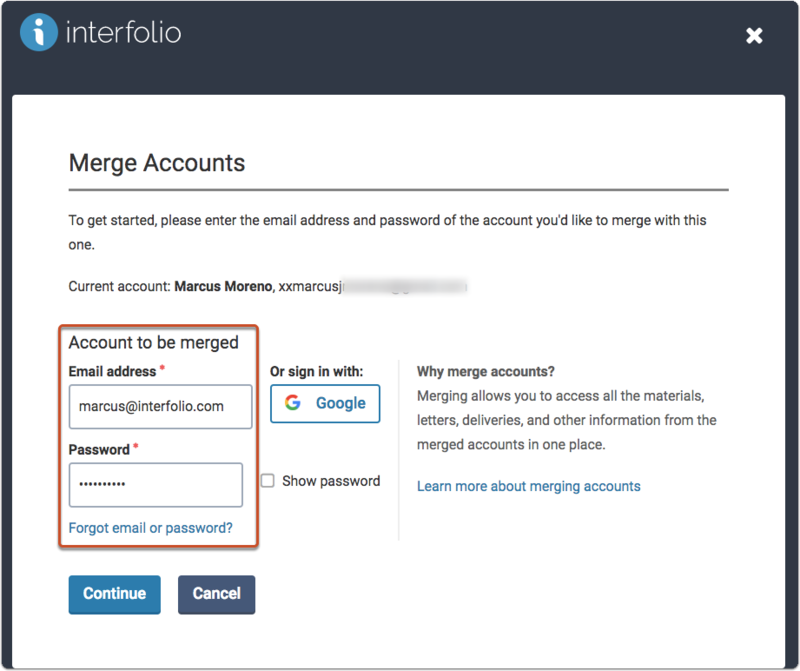 If you find yourself with multiple emails associated with Interfolio, you can merge the account information into one account for easy use. Only users can access their personal dossier data, institutions cannot view this information. Merging is a permanent process. Users may only merge their own accounts. If you want to merge two Faculty180 accounts, you will have to undergo a waiting period for them to be merged. If an error occurs that prevents merging, a ticket will automatically be created for review by an engineer to be resolved. 1. 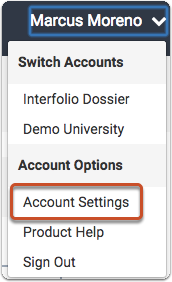 Click the User Menu on the top right corner, and then select Account Settings. 5. Carefully read every line and check to confirm you understand what will occur when you merge your accounts. Click the button to confirm. 6. 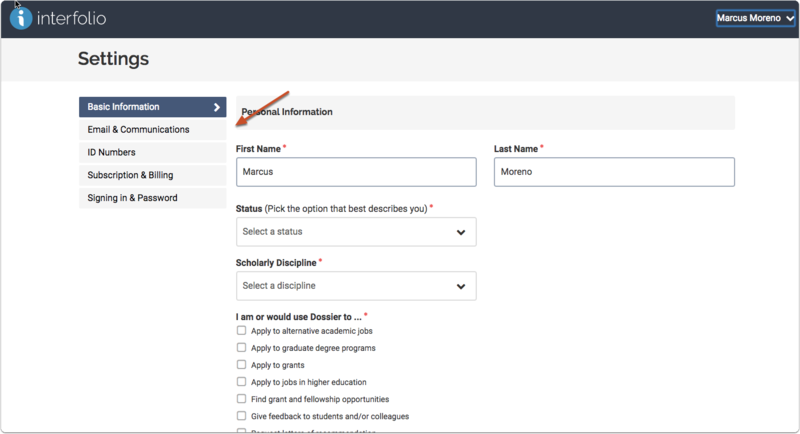 Your merge is now complete, or if one account is a Faculty180 account, you will have to wait for a waiting period for the merge to be complete.